Bulgogi tastes equally delectable made with thinly sliced chicken or pork. No matter what meat or poultry you use, some butchers will do the slicing for you. If not, slice against the grain on the diagonal using a very sharp knife. (1) In a large baking dish, whisk together all ingredients except beef. (2) Add sliced beef and turn to coat. Cover and refrigerate overnight. (3) Heat a tabletop hibachi, stove-top grill, or outdoor barbecue. When grill is very hot, place slices of beef over the fire and cook 1 to 2 minutes per side, or until they are nicely browned and a little crisped on the outside. 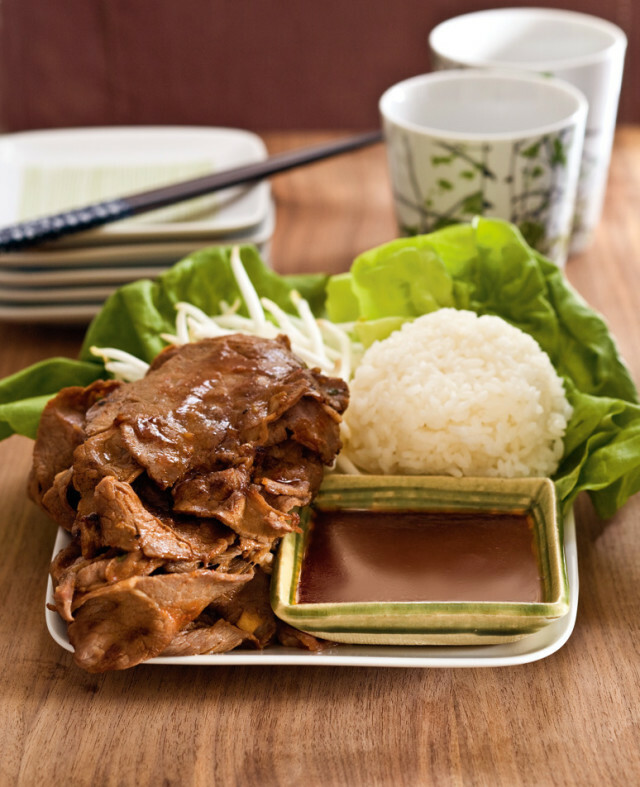 (4) Serve with lettuce leaves, sliced daikon, bean sprouts, rice, and/or dipping sauce.